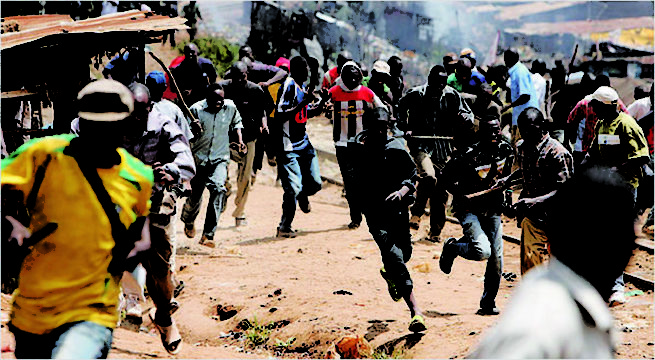 No fewer than nine persons have been killed and 45 houses destroyed in fresh herdsmen attacks that took place in three different communities Tuesday night. According to the report on Daily Post, the attackers killed six persons in Tse Shan, two in Tse Nyamkyume in Saghev both in Guma LGA while one person was killed in Tse Ngo Jov Tombo Logo LGA. According to the report, the victims were mostly women and children who were unable to run when the attackers came. A number of persons are missing following the attack. The Fulani herdsmen has committed much atrocity that PMB will hand over peacefully? no.